True to his words, Hondata, a well-known California-based tuning company that specialises in Honda, has released a tuning package for the hot hatch. 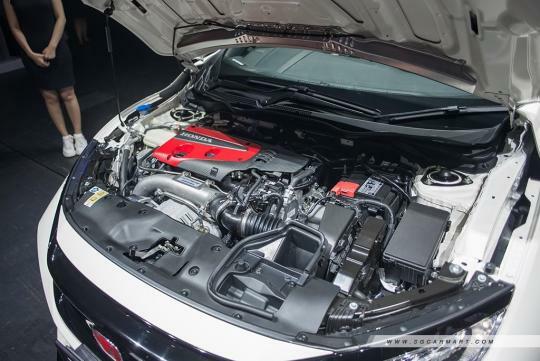 Using its FlashPro kit, the latest FK8 turbocharged 2.0-litre in the Civic Type R is said to be able to gain a tidy increase of 47bhp and 98Nm of torque over its factory output of 316bhp and 400Nm of torque. Bear in mind this jump in power does not require any other modifications. If there are any, owners of the hot hatch might even gain more power. whoa.. hope this still compliles with LTA emission regulation if its flashed. Have to look at end to end. Else the amg45 would have rule the ring. Please prepare to set aside funds to replace parts earlier due to wear and tear for after market modifications and tune up. More frequent breakdown if internal parts are not upgraded to support the extra heat generated by the engine.